I wanted to share some thoughts I read in a post on VentureBeat by Gerard Grech, the CEO of Tech City UK, a UK-based non-profit focused on accelerating the growth of the UK’s digital economy. The post is titled, as blog posts tend to be, “9 things you didn’t know about the UK’s tech scene“, but really delivers an incisive analysis of why investors specifically (but by extension entrepreneurs) have reason to be sanguine about the tech sector in the UK (even post-Brexit). 2. The UK is second in the world for tech startup exits, after the US. There were 135 mergers and acquisitions in the most recent quarter of 2016. 3. The UK government helps tech companies from cradle to exit with the world’s most generous tax breaks and capital gains exemptions for investors as well as visa schemes for digital innovation experts and grants for entrepreneurs. The Lean Startup Revisited – Does it really work? The so-called ‘Lean Startup’ methodology, coined by Silicon Valley entrepreneur Eric Ries, has come into vogue in recent years and aims to address the problem of heavy cash outlay during the early stages of your business. In other words, it advocates proving your concept as far as possible without building the finished product. It aims to take the financial risk out of building a startup (as far as that is possible!). The lean startup methodology is all about experimentation, feedback and iteration. Or to use the vernacular of a school science teacher: hypothesis, evidence, synthesis and improvement. The idea is that rather than spending hours and hours writing a ‘perfect’ business plan, keeping your ideas hush-hush and finally launching a fully developed product in the hope that investors and consumers will be won over, you test hypotheses by collating customer feedback from your MVP (Minimum Viable Product). For example, you could throw up a landing page selling a product/service that, as yet, does not exist, and measure the popularity and interest in it. By this means, you can calculate whether the idea is worth pursuing and how it can be optimised; or whether you should ‘pivot’ or iterate, or change the concept entirely. For more information on what lean startup means, you can visit www.theleanstartup.com/. But in this post I want to address the question of how far this lean startup method has proven itself as viable. Ted Ladd is a professor and entrepreneur who has conducted research on this question and recently published his findings in an article for the Harvard Business Review. Click here to read the full article. – Method may produce ‘false negatives’ when there is no clear rule in place to stop testing and start scaling. In other words, entrepreneurs are experimenting so much that they always end up with negative results. This leads him to say that while the lean startup method has considerable benefits for entrepreneurs, it is important that the testing and experimentation on a micro-level is combined with a broader strategy. That way, only the priority areas are tested; and time and confidence are not wasted testing every aspect. Author Oliver JonesPosted on September 12, 2016 March 23, 2017 Categories Uncategorized5 Comments on The Lean Startup Revisited – Does it really work? Angel Investment vs Venture Capital – Which would you choose? This morning I read a great post by Venture Spring. Venture Spring is a hugely well respected ‘venture development’ company which “helps Fortune 500 companies innovate like startups” according to their company mantra. The article is about the differences between venture capital funding and funding from angel investors. You can read the full article on their site here. (It’s a 5-10 min read). 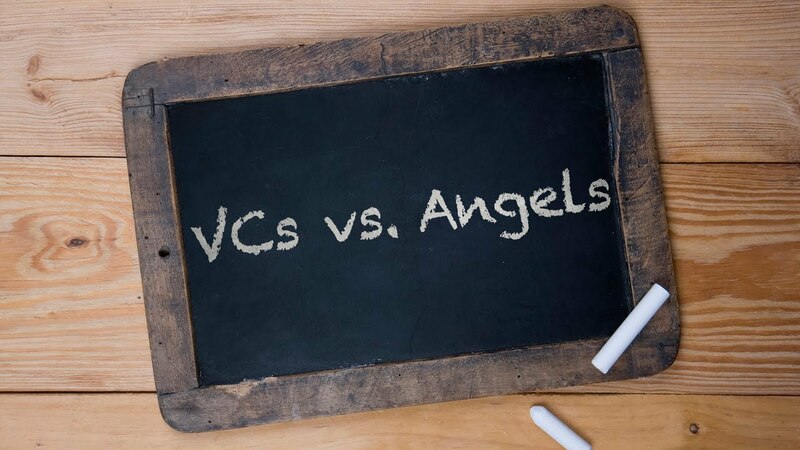 Author Oliver JonesPosted on September 2, 2016 March 23, 2017 Categories Uncategorized2 Comments on Angel Investment vs Venture Capital – Which would you choose?